How big are Vietnamese billionaires’ pockets? VietNamNet Bridge - The asset value of Vietnam’s richest billionaire has soared to $1.8 billion (VND40.150 trillion). Meanwhile, there have been some big changes in the positions of the top 10 millionaires. Forbes has updated the list of the world’s billionaires in 2016. Pham Nhat Vuong is the only Vietnamese billionaire in the list. 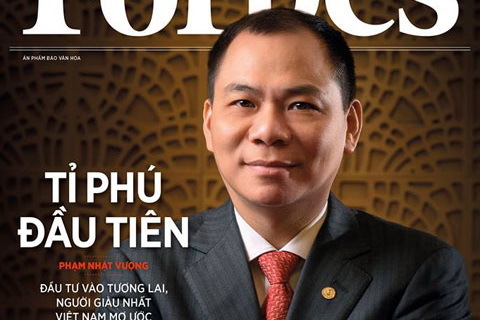 His asset value increased from $1.7 billion last year to $1.8 billion, while his position has gone up to 1118 from last year’s 1011.According to Forbes, all the assets Vuong has are from real estate. Vuong’s Vingroup is now the largest real estate conglomerate in Vietnam with the capitalization value of VND85.5 trillion, or $3.8 billion. The conglomerate has also invested in hotels, retail chains, education systems and healthcare services which bring high profits. After the recent share issuance campaigns, the proportion of shares held by Pham Nhat Vuong and his wife, Pham Thu Huong, in Vingroup decreased to 32.2 percent. 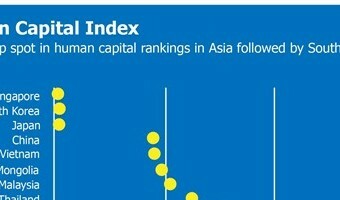 Analysts … [Read more...] about How big are Vietnamese billionaires’ pockets?